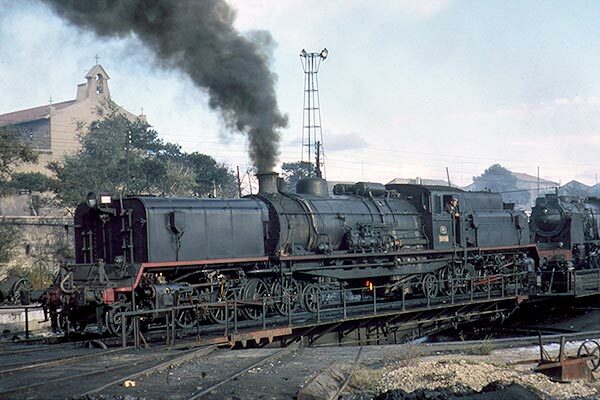 Caption - RENFE Garratt 2-8-2+2-8-2 Garratt 282 0424 at La Encina in 1965. Built by Babcock & Wilcox in 1961 this class of 10 locos were the last mainline locos delivered for service in Europe. These oil burning locos were built for heavy freight on the line from Valencia (Alameda) to Calatayud and were built to supplement six similar locos built in1930.